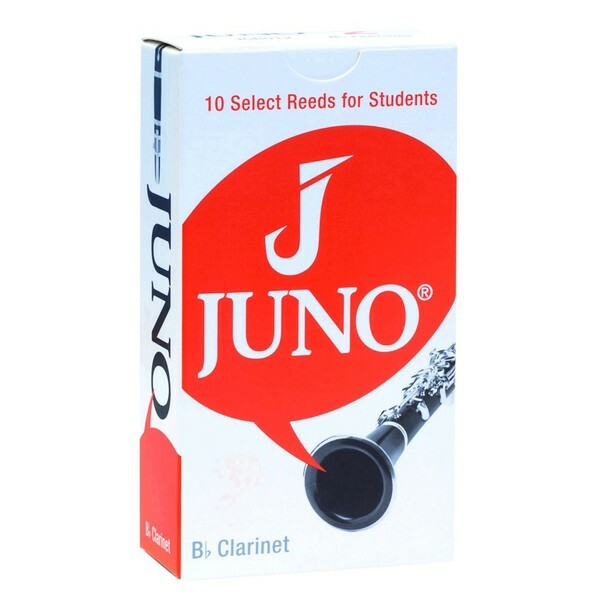 Vendoren’s Juno Bb Clarinet Reeds have been specifically designed for students and beginners. Made from select cane grown in the Mediterranean, the reeds are designed with a special cut for an extra response. The reeds are then placed in a humidity balanced pack to keep them fresh till they are opened. The Juno Reeds are made from select cane and designed with a special cut to deliver an extra responsive reed. The extra response is perfect for beginners and students since it allows them to focus more on playing their instrument rather than focused on trying to work the reed properly. Vendoren’s Juno reeds helps players to learn at a faster rate as it makes playing easier from top to bottom. Once the Juno reeds have being created, they immediately place them individually into humidity balanced packages. The packets help keep the reeds fresh and untouched, making them feel and sound as fresh as the day they were made.